It is often said that “The best time to plant a tree is 20 years ago…The second best time is now”. Tree planting is undertaken widely across the UK from large scale woodland planting and regeneration schemes to the planting of individual trees, often to commemorate a loved one or a special occasion. We often look upon trees as a constant in our world. The ancient oaks in our woodlands could tell a wealth of stories about the comings and goings of humans and our short lived lives. woodland floor on a particularly memorable day in my life. 20 years from now I will be 45 years old and this tree will still be an infant in the grand scheme of its potential lifetime. It will reach its prime long after my life has come to an end and I will only ever get to share a tiny proportion of its time on earth. Yet I care for it, nurture it and when it is big enough I will plant it in a place where I hope it will grow for hundreds of years. Perhaps the trees we plant are one of the great acts of altruism on our planet. The time and money that we spend on them will often have very little impact on our own lives but our actions will shape the earth around us for future generations. 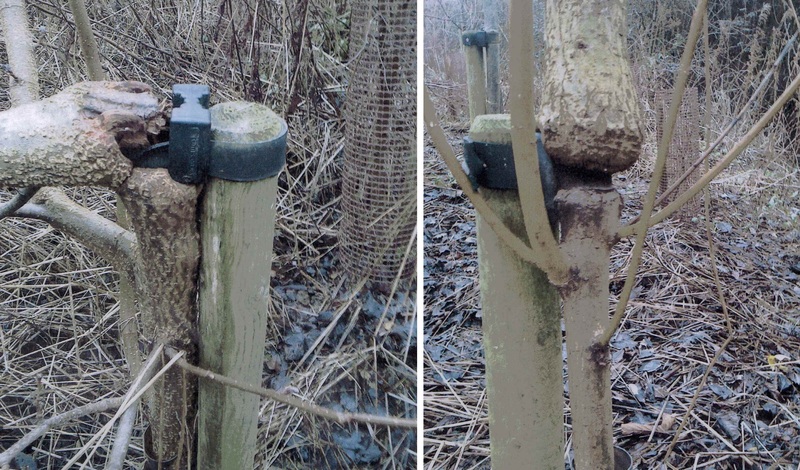 These trees photographed in Pilning, South Gloucestershire have been planted and then neglected, leading to the tree ties constricting the growing tree causing irreversible damage. When we plant a tree, it is vitally important that this is only the first chapter of care. In many ways, young trees are like children. Your investment in their life cannot end at birth. A growing child requires many years of care, nurture and training for it to reach its full potential. The same applies to a planted tree. The trees pictured above were part of a copse, probably planted with the best intentions. The effort and financial investment made in buying, planting and staking the trees has now been completely wasted as the damage caused by neglect is irreversible. Staking newly planted trees is important to prevent wind rock and root movement as the tree becomes established in its new environment. A naturally growing tree in a woodland has spent many years establishing itself and laying down a strong, wide reaching root system. Artificially planted trees need time to settle into their new position and establish their root systems. 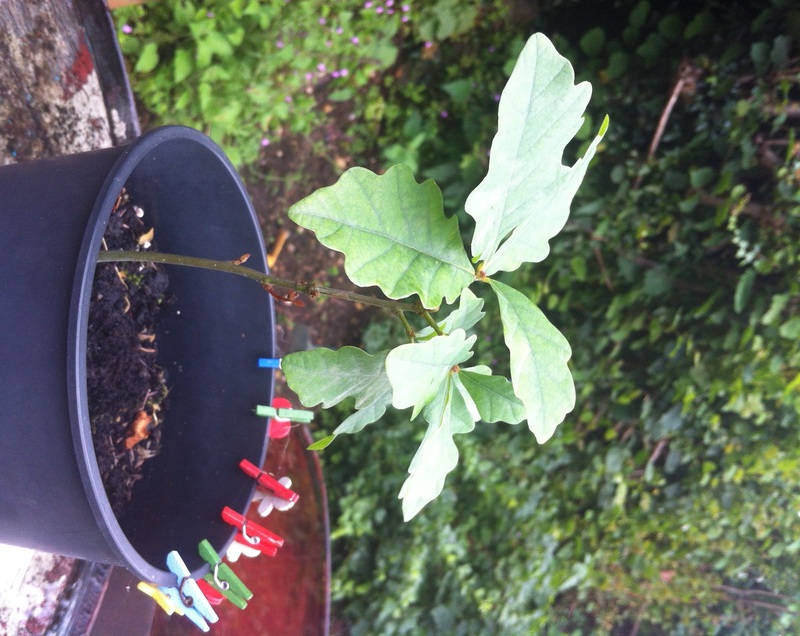 A child uprooted from somewhere it has lived for many years being placed into a new environment needs support to settle in, trees are the same. However, it is vital that staked trees are monitored and cared for to ensure that they help rather than hinder the growing tree. Ties must be carefully monitored to ensure they are providing support, but not constricting the tree’s growth or rubbing. Stakes must be monitored and replaced as necessary and care must be taken to ensure that as the tree grows it is staked in the correct place. Too low and the wind rock in the developing canopy causes root movement damaging the fine root hairs. Too high and the tree has no need to support itself and fails to develop a strong root support system. In today’s society, so many of us lead fast paced lives but the trees we plant and nurture will far outlive us and will stand as a testament to our lives for centuries to come. It is so important that we remember that while tree planting is a worthwhile and valuable investment, it is wasted if we fail to provide ongoing care. The time we spend managing and caring for our trees should be viewed as our own personal investment in the future of our arboricultural world. Our trees are the key to our own lives on this planet, the very least we can do is care for them and help them to survive in a world in which our actions make their environment an increasingly hostile one.